I honestly cannot count the number of times analysts have predicted the decline of the PC Market and a paradigm shift to tablets and mobile computing. Ofcourse, people actually in the Industry, have dismissed these as nothing more than a gradual market shift from a wide ranging focus to solely the high end. Tales of the demise of PC and the eventual takeover of smart phones and tablets are now commonplace, so it was only a matter of time before some semblance of sanity started seeping back. According to data from Intel Corporation and analysts from Citigroup the demand for PCs is finally stabilizing. This is the same demand that has been declining for several years now – including the first half of 2015. Some of the credit is being attributed to the launch and re-branding of Intel’s Skylake processors. Computer makers and Add in Board partners have started to replenish their inventory with the current products (Skylake) which is a healthy sign of growth. All Taiwanese companies supplying personal computers or PC hardware have seen their revenue increase in August, which is also the same time Skylake launched. The increase in shipments of notebooks and laptops took analysts completely by surprise since a revival in interest is not expected in a PC market in its last breaths. 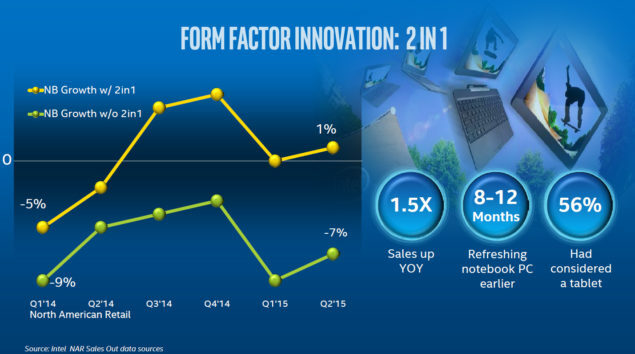 Much of this rebound is being attributed to Intel’s 2-in-1 demand. The marketing jargon thrown around is that consumers are shifting from “need” to “want” where Intel’s hybrid devices are concerned. This means that they are lining up to buy these even when they have a perfectly functional substitute at home and solely out of desire to posses such a product. There might come a day when PCs will be replaced by mobile devices completely, but that day isn’t happening any time soon. In the past year the business side of the PC Market declined somewhat, leading analysts to speculate on the demise of the same, but at the same time the consumer market went into a boom. 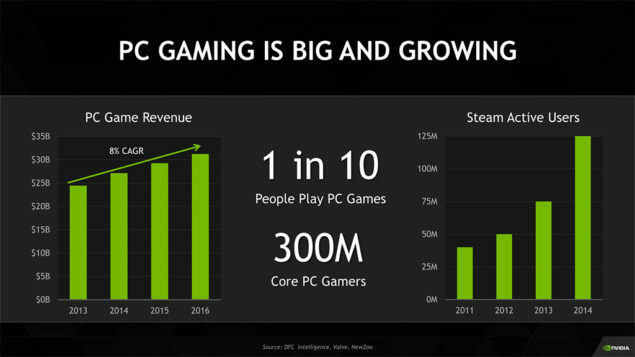 Even now, I am willing to wager that analysts will keep on predicting the death of the PC market when seasonality comes into effect and the corporations finish their refresh cycle but as we know well by now, its demise is being greatly exaggerated.